I love being a midwife and would like others to love this profession as much as I do. Dr Roa Altaweli is the first midwife from Saudi Arabia to obtain a PhD. Born in Jeddah, she is a registered nurse and midwife, holding a BSc in Nursing from King Abdulaziz University in Jeddah. After obtaining a Postgraduate Diploma in Midwifery in Bahrain, she was appointed as a midwife at National Guard Hospital in Jeddah and then a teaching assistant at Dar Al Hekma University. Following work as a midwife, Roa decided to pursue a more academic route with a Postgraduate Certificate in Advanced Practice of Midwifery from King’s College London and subsequently a Masters and PhD in Midwifery at City. Starting the PhD in 2010 and finishing the thesis last year, she then returned to Saudi Arabia. She now works part-time as an Assistant Professor at King Abdulaziz University. 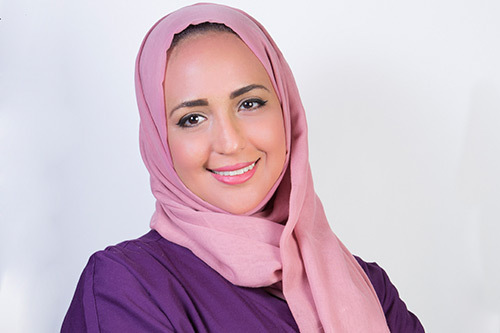 She is also full-time Assistant Director of Nursing at East Jeddah Hospital, a founding Board Member and Vice-Chairperson of the Saudi Midwifery Group and a member of a Saudi Ministry of Health initiative called the Optimizing Maternal Mortality and Healthcare Advisory Team.